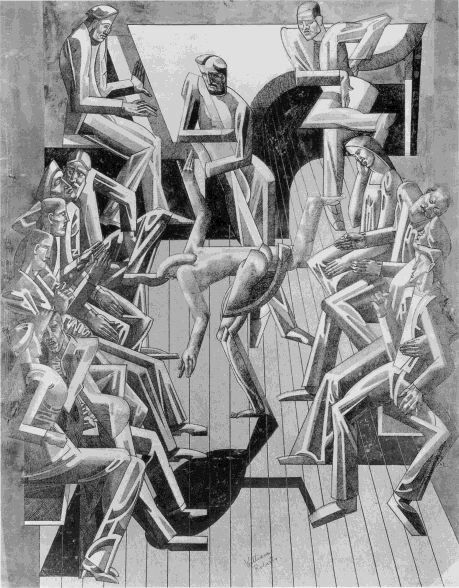 'The subject was derived from the dances performed by the wife of Stewart Gray, the hunger-marcher, at their home in Ormond[e] Terrace in the autumn of 1914. Stewart Gray is the bearded figure towards the top left and appears again on the right'  Tate Gallery 1965 catalogue. 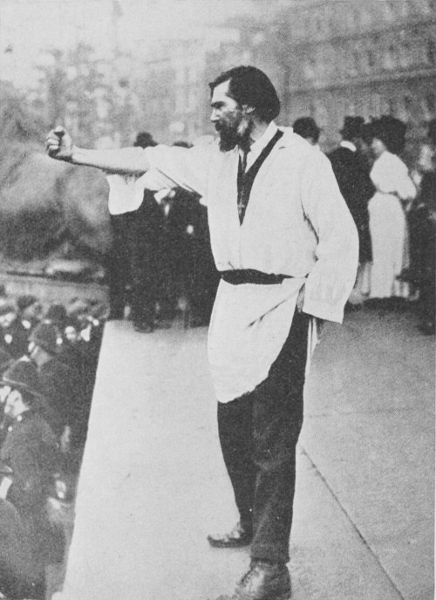 Alexander Stewart Gray (18621937), whom his London Times obituary described as 'the original "hunger march" leader in this country', was a Scottish solicitor who in 1908 led a march of unemployed men from the north of England and later fasted near Windsor Castle to draw attention to their plight. In 1914 Gray rented 8 Ormonde Terrace, by Primrose Hill and Regent's Park, where he accommodated young painters and sculptors, including WR. In his Let There Be Sculpture (1940), Jacob Epstein described how 'there was a life class at which I sometimes drew, and sometimes the artists, among others Roberts and Bomberg, a mysterious Indian artist, and some models, would have parties' (ch. 11).